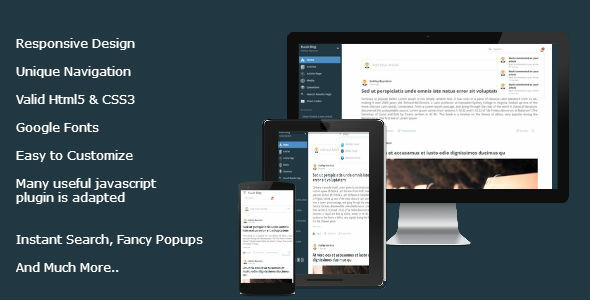 Kuub Blog is a fully responsive HTML template perfect for your blog website. You can sure use for any purpose this template. This cleanly coded and very well organized template will make editing an enjoyable experience. Ultra responsive with user friendly responsive navigation. With lots of features you can make it as unique as you want.